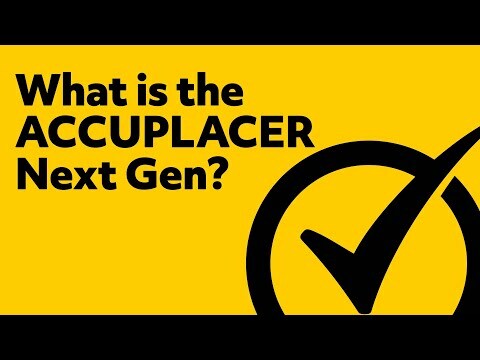 What's the ACCUPLACER Next Gen? 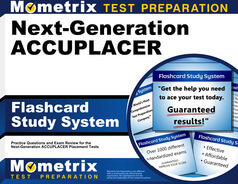 Each Next Generation ACCUPLACER test is computer adaptive. Unlike traditional tests, computer-adaptive testing is designed to select from a pool of questions and deliver them to test takers based on their proficiency and skill level. The questions presented each meet the specifications of the test and are intended to represent a wide range of difficulty to tailor the test to the individual test taker’s skill level based on their responses and yield the most information about them. The difficulty is determined based on your response to each question you are given, and since the test is untimed you may take as long as you need to carefully consider your response before submitting. The number of questions on your test will vary, with as few as 12 or as many as 40 questions, and no two tests will be the same. The questions, and the sequence in which they are presented, will vary between students. The adaptive nature of the tests may reduce the effects of repeated practice but investing time into study resources for ACCUPLACER test prep such as ACCUPLACER study guides and practice tests can help prepare you for what to expect. It is important to keep in mind that no one passes or fails ACCUPLACER tests, instead they are designed to give you the opportunity to demonstrate your individual measure of academic skills. 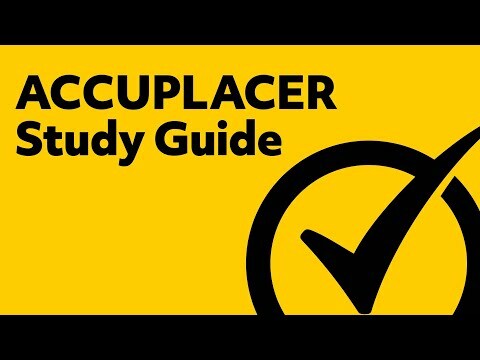 The ACCUPLACER test is an untimed, multiple-choice computer-adaptive test, which allows you to work at a pace and level that are both comfortable for you and your capabilities. The exception, depending on your school’s policies, may be the WritePlacer test. Before you begin the test, you will be asked to provide a test administrator with your legal photo ID for safety and security purposes. Your college may ask you to bring special materials as well, so contact your test center for further details as part of your ACCUPLACER test prep. You will also need to contact the test center in advance if you will require any disability accommodations. There may be remote testing options for the ACCUPLACER test, depending on your institution, if it is located in another state. You will first need to contact your institution’s test center to receive their permission, then a second, local institution to take the test with their supervision and guidance. If you would like to schedule an appointment to take the ACCPLACER test, you will need to contact or visit your college advising and counseling office. In the event your institution is in another state, they will be able to advise you further on options and alternatives. On the ACCUPLACER reading subtest you will be presented with a series of 20 questions based on texts and passaged designed to assess your ability to distinguish between direct statements and supporting ideas, identify main ideas, make inferences and understand what you read. The passages are either single or paired, and cover a range of complexities, content areas and writing modes. The Arithmetic subtest includes: computation (e.g. addition, subtraction, multiplication, division), comparing and ordering values in different formats, estimation and rounding, order of operations and recognizing equivalent values across formats (e.g. decimals, fractions, mixed numbers, percentages). As you prepare to take any of the Next Generation ACCUPLACER subtests, it is important to remember there are no passing or failing scores. 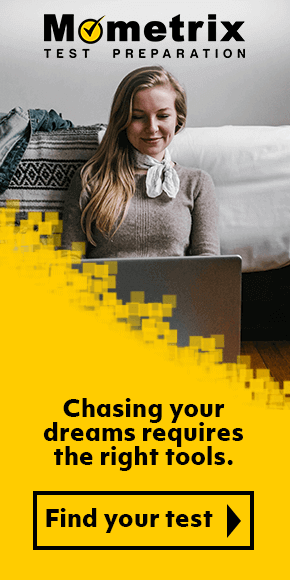 Instead, you will receive a score reflective of your personal skill and knowledge level in order to accurately place you into classes appropriate for your level. 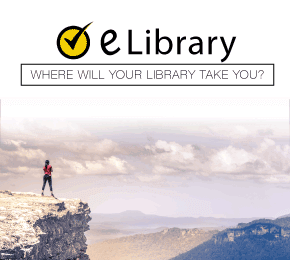 As you prepare to take the placement test(s) to do the best of your abilities, take advantage of free resources available to you. 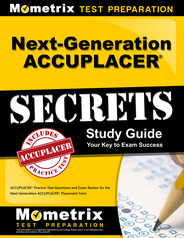 Mometrix’s ACCUPLACER test prep library includes ACCUPLACER practice tests and ACCUPLACER study guides for you to review critical concepts prior to test day.